Baxter was in my eyes a great muddler; but the whole Church cannot help liking Richard Baxter for all his muddling. Richard Baxter lives in the affections of the Church, yet he greatly perplexed the Gospel; he tried to make peace between the Calvinists and Arminians by getting some middle way. Reading J.I. Packer’s account of Richard Baxter’s account of justification recently I was struck by a number of parallels between what Baxter said about justification in his Aphorisms of Justification, and the ideas of Bishop N.T. Wright. I’m not suggesting any causal connection: the parallels are structural in nature, and arise from approaching the matter of justification in a certain way. I note nine of these aspects. 1. In each there is an account of justification in terms of a combination of faith and works. For Baxter, the sinner’s ‘initial act of faith, forsaking sin and receiving Christ, is an act of compliance with the precept of the Divine law now in force, the law of grace which commands all men everywhere to repent and promises an amnesty to those who do.’ (Packer, 251) This is the heart of Baxter’s ‘neonomianism’. It parallels Wright’s view that final justification is ‘on the basis’ of works, understood in his characteristic way, about which there is some unclarity, as Piper shows. 2. There is an emphasis in each upon what Baxter calls judicial justification, justification at the last day. (Packer 253) As Baxter himself put it, ‘Faith Repentance, Love, Thankfulness, since obedience, together with final Perseverance, do make up the Condition of our final Absolution in Judgement, and our eternal Glorification. (257). Packer comments, ‘Judicial, or, as Baxter sometimes calls it, “sentential” or “declarative” justification, to which the believers has by his faith acquired a right, takes place at the last day’. (252) As Piper makes clear, Wright too lays great emphasis upon justification at the last day. 3. Justification is not a change of status , but of persons. That is, it involves subjective renewal, and is not merely forensic change. Packer: ‘Thus, justification appears not as a single momentary event, but as a complex, tripartite Divine act, which begins with a man’s first faith in Christ and is not completed till he has received his whole reward in the world to come’. (253) Similarly, for Wright justification is life-long, most properly spoken of in connection with the final judgment. 4. Covenant membership is ratified by obedience. Baxter: ‘in our first Believing we take Christ in the Relations of a Saviour, and Teacher, and Lord, to save us from all sin, and to lead us to glory. This therefore importeth that we accordingly submit unto him, in those his Relations, as a necessary means to the obtaining of the benefits of the Relations. Our first faith is our Contract with Christ….And all Contracts of such nature, do impose a necessity of performing what we consent to and promise, in order to the benefits….Covenant-making may admit you, but its the Covenant-keeping that must continue you in your privileges’. 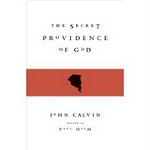 (257) For Wright, justification (understood in his way) is a sign of being in the covenant. 5. Their respective accounts of justification involve new terminology which causes perplexity in their readers. Packer: ‘His [Baxter’s]r eaders were completely bewildered by the “political method”. It involved re-definition right and left: terms like law, works, merit, righteousness, justification, imputation, instrument, all meant something different in Baxter from whey meant in the rest of Protestant literature’. (261) Similarly, the Bishop uses familiar words – covenant, faith, faithfulness, obedience, justify, judgment, assurance, vindication – in novel ways. So justification is recognition (Piper 97) and in justification by faith, faith is faithfulness (Piper 103fn), and vindication is covenant membership (Piper 124), and justification is primarily or characteristically evidential (Piper 67) These novelties perplex, just as the Reformed view perplexes Wright. 6. Wright's position in some respects accords with Baxter's view of justification as a lesser obedience. According to Baxter, Christ does not procure for us a righteousness imputed to us, but a new legal arrangement, and gives us grace to fulfil our obligation to that new law by granting penitence and faith. The moral value of such active faith is reckoned as our righteousness, it constitutes ‘ ‘the basis’ of our justification. 7. Both Wright and Baxter have a similar intention, to go beyond the conceptuality of the Reformers and especially (in Baxter’s case) the Puritans to what he thought was a better conceptuality and (in Wright’s case) to what St. Paul really meant. 8. Each reads the concept of justification as inclusive of works. Whatever may have been Baxter’s intention, this is how able readers understood him. So Robert Traill: ‘Instead of justification by perfect obedience, we are now to be justified by our own evangelical righteousness, made up of faith, repentance and sincere obedience’. I noticed these phrases in Piper: ‘The imperfect but real life of love’ (127), ‘imperfect obedience’. (128) Such words come easily to a Reformed thinker, though accepting the fact of them is not so easy. The obedience of a Christian, because of remaining sin which taints everything, is imperfect obedience. Even faith, the instrument of justification, is tainted by unbelief, fear, or presumption. Surely, the imperfections of imperfect obedience themselves need pardon, the believer needs justifying grace even for his failures as a believer. This is so-called 'double justificaiton'. But the equivalent is hard to find in Baxter’s and Wright’s views. Perhaps it is impossible. In what follows I do not so much attempt to answer this question as to raise it. Because the believer’s best efforts need forgiveness, on the Reformed view his desires and actions have evidential value as regards justification. They (imperfectly but really) show that he has received a new status through his union with Christ in death and resurrection, enjoyed through faith alone. Faith is shown by works but these are always imperfect, but both faith and works are always imperfect, themselves needing pardon. As we noted in the previous Analysis, a crucial area of difference between the Reformed view of justification and his own views is Wright's insistence that it is the final judgment at which justification occurs, for justification is on the basis of a whole life lived. (Piper, 165) In his remarks on ‘sentential justification’, Baxter concurs. Wherever else there may be ambiguity, the Bishop’s insistence on the centrality of the final judgment, and a life lived as the basis of that judgment, needs no clarification. On Wright’s account is there any place, then, in the final judgment for God justifying the ungodliness of the godly? If so, how does it happen? As far as I can see neither Wright nor Baxter come close to saying anything about what is to be done at the judgment about the believer’s continuing shortcomings. According to Wright he is to be justified by his covenant membership, according to Baxter by fulfilment of the new law of the Gospel, whatever exactly this implies. But surely his enjoyment of this membership, or his fulfilment of the new law, is flawed, not perfect or entire. Isn’t this obvious from experience, and from Scripture, (even if the usual Augustinian view of Romans 7 is contested) ? How are these imperfections to be dealt with? Not by more of the same: that simply adds to the problem, it does not solve it. Actions that themselves need justifying grace cannot themselves be a source of justification, unless justification is incremental. Where in the New Testament is it suggested that evangelical obedience or a whole life lived may take us so far, and the blood and righteousness of the redeemer then takes over? That would be an obvious case of bootstrapping. So how are the residual imperfections to be dealt with? Wright has nothing in his account of justification that I have seen that provides an answer. So there is a dilemma for Wright and Baxter at this point. For either the works of the faithful covenant member are imperfect but nevertheless accepted by Christ, or they remain imperfect. Do Wright and Baxter think that they are perfect, without need of pardon? There is no evidence that they do, though perhaps they do. So may we assume, in the absence of such evidence, that they do not? If so, the actions that form part of the whole life that will justify covenant members at the last, or the quality of obedence to Christ’s ‘new law’, are imperfect. So is the resulting final justification, on the basis of a whole life, imperfect? That looks like an unwelcome suggestion. But how then do the imperfections of the covenant member become erased, or covered over, or in other ways improved? Does Christ perfect them? Perhaps (going at this point at least with the tradition) he does, though, once again there is no evidence that I know of that Baxter or Wright thinks that he does. On Wright's and Baxter’s view, then, there appears to be an infinite regress, a slippery slope, since our imperfect works are a part of our justification, but they themselves need justification in view of their imperfection. So from where does this additional grace come? The question is a purely logical one: how can justification which is imperfect become a part of perfect justification? It cannot. The pure, pardoning grace of Christ is needed. (Packer’s account of Baxter is to be found in The Redemption and Restoration of Man in the Thought of Richard Baxter (Vancouver, Regent Publishing, 2003)). He provides a brief overview (one that is less sympathetic to Baxter, I think) in Among God’s Giants: The Puritan Vision of the Christian Life (Eastbourne, Kingsway Publications, 1991, Chapter 9). (This is published in the U.S.A. as A Vision of Godliness.) The passage from Robert Traill is from Justification Vindicated, Banner of Truth reprint, 12) For a brief comment on Baxter and Neonomianism in the context of the 'New Perspective' see Donald Macleod. ‘The New Perspective: Paul, Luther and Judaism’, (Scottish Bulletin of Evangelical Theology, Spring 2004, 21)). Analysis 14 - Which Comes First? John Piper's book The Future of Justification (Crossway, 2007) is a great thing. If you have not read it, then you must. It is a clear, passionate, informed, pared down, thoroughly documented, careful expose of the Bishop of Durham's views on justification. It certainly needs no support in this task from Helm’s Deep. But one or two things in the book deserve underlining, and in one case developing. In this Analysis I do some underlining, in the next two , ‘Baxter’s Soup and Wright’s Soap’, and ‘Aspirational Theology’, some developing. In this Analysis I shall try to do two things. The first is to draw attention to what I believe is one of the most significant methodological points that Piper makes, but one which may, in the flurry of interest about justification, and the dust raised by it, get overlooked. The second thing is to underline what Piper says about the ambiguity of some of Bishop Wright’s language about imputation and justification. What both of these have in common is that Piper shows us the need to observe theological distinctions. Piper's concern is not over some definition of righteousness not being adequate, but over the coherence of an account of divine righteousness that does not begin with who God is. Being, the being of God, comes first; acting is a consequence of being. This is true generally; glass is not fragile because it easily smashes, it easily smashes because it is fragile. In God’s case, doing righteously follows from being righteous. Acting faithfully is a consequence of being faithful. Wright’s account is not deep enough because it does not start with the character of God, but with the actions of God. Piper’s identification of this failure in Wright is of considerable significance in his treatment of the Bishop’s view. But it is also vitally important more generally in Christian theology. 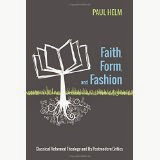 For various reasons it is at present hugely fashionable to think of theology in narrative form: covenant (Horton), speech-act theory and ‘theodrama’ (VanHoozer), and, more generally, to think predominantly in the category of history, redemptive history, ‘biblical theology’. (Let’s call what is common to all these approaches, whatever their differences, ‘N theology’). In Wright’s case this way of thinking is habitual because he is first and foremost a historian, and so first and foremost thinks in terms of historical sequences, of sequences of action, human and divine, and of their significance. At least it only follows that God happens to be faithful, in a similar way to the way you and I happen to be faithful. From the mere fact that God has been faithful on X occasions it does not follow that he will be faithful next time, X + 1. So God’s righteousness cannot be equivalent to covenant faithfulness, though covenant faithfulness follows from it. God might swear an oath, and he might confirm this with another oath. But what about next time? How does the writer get from ‘God gives two oaths’ to ‘these two oaths are unchangeably faithful and therefore can be utterly relied upon’? Answer, because an oath (usually) appeals to something greater. In this case God does not swear by something greater, but swears by himself. Why is that? Because there is nothing greater in respect of faithfulness than God himself, and (in respect of a covenant) that nothing-greater-than is expressed by the impossibility of God lying. God might have appealed to something that was generally faithful. But this would not have given the necessary credibility. It would have been swearing by something less than himself. But swearing by himself, swearing by one than whom there is no greater, underlines in a dramatic way the utter reliability of his covenant, the impossibility of it failing by God having lied. So from where does the writer of Hebrews get to the impossibility of God lying? Answer: he must get it from non-narrative aspects of the narrative. These are aspects that, physically speaking, are within the narrative, but they do not have the logic of a narrative. They have the logic of declarations or announcements; the character of our old friend the proposition. God tells us truths about himself, (or as seems to be the case in Hebrews 6) he grants the inspired writer an insight that enables him to draw an inference that would have escaped the rest of us. Such declarations or inferences of a declarative nature about God stitch the narrative together. They make it not merely a narrative about God but God’s narrative. Of course the suggestion that God might not be faithful next time seems preposterous to N-theologians. But it seems preposterous because they smuggle in another thought – that God is essentially or necessarily faithful. Where does this come from? From God’s self-revelation, a self-revelation that is about a timeless reality even though the act of revealing occurs in time. (Exodus 34 is a paradigm of this.) N-theology, concerned only with historical sequences, does not allow us that thought, but at this point – mercifully – the practice of the N-theologian is often better than his preaching. He gains leverage by a means that by the lights of N-theology is illicit. He stands on the shoulders of the Berkhofian systematic theologian. I’d go so far as to maintain that the systematic theological task does not need biblical theology or any of its friends. What we do need is exegetical theology. I gain some encouragement to assert this from something that John Piper says. ‘Behind each of those actions is the assumption that there is something about God’s righteousness that explains why he acts as he does. What is that? I do not ask it for speculative reasons but exegetical ones.’ (63) Exegesis shows (Piper believes) that ‘What we find therefore in the Old Testament and in Paul is that God defines ‘right’ in terms of himself. There is no other standard to consult than his own infinitely worthy being’. (64, Piper’s emphasis). Which comes first? Doing is an expression of being. Being comes first. There’s much more to be said, but enough for now. ‘On the basis of’, ‘according to’, ‘in accordance with which’. Piper has an excellent, sustained discussion (in most of chapters 6-8 of the book) of the unsatisfactoriness of Bishop Wright’s claim that justification is ‘on the basis of……’. or ‘according to......’. Here I certainly do not think it is possible, on the available evidence, to do better than Piper does in trying to settle what Bishop Wright means when he uses these expressions. All I shall attempt is to sharpen the sources of the ambiguity which, as Piper shows (and despite 10,000 words of commentary by Bishop Wright on an earlier draft of The Future of Justification), still lies at the heart of the bishop’s views. Bishop Wright’s views are fairly obviously ambiguous at this point, both in the sense that (though being ready to accuse others of ‘fuzzy’ thinking) he has not troubled to clarify the senses of ‘on the basis of’ or ‘according to’ and also because, as Piper shows, he flip flops from passage to passage, now stating that justification is on the basis of this, and now claiming that it is on the basis of that. The distinction that needs to be drawn, and that Piper draws (e.g.119) is surely pretty straightforward. It is the distinction between something itself, and the evidence of that thing. Sometimes the evidence for a thing is part of that thing, sometimes it is distinct from that thing, it is what that thing is related to, or typically or usually manifests or expresses. The evidence of having measles is a high temperature, for this is one of the ways in which the viral infection we call measles characteristically expresses itself. The evidence of having been born in Blackpool may be a birth certificate that states as much. But ‘causing a rise in bodily temperature’ is not what measles is, not even a part of what measles is. And ‘possessing a certificate with my name on it stating that I was born in Blackpool’ is not what being born in Blackpool is. Being born in Blackpool is being in Blackpool when one was born. Usually the certificate is only a part of the evidence of being born in Blackpool, or (in certain circumstances) it may be the whole of the evidence for that fact. In normal circumstances, the rise in temperature confirms the fact of measles (along with other evidence), the birth certificate confirms the fact of being born in Blackpool (along with other evidence). Justification ‘on the basis of works’ could thus mean one of three things. It could mean (a) that justification consists in the performance of certain actions, or (b) that justification partly consists in the performance of certain actions or (c) that justification is something which certain actions give evidence of the presence or reality of. There does not seem to be a fourth alternative. These alternatives have nothing to do with the doctrine of justification by works, but with what ‘on the basis of’ may mean. So why does Wright not immediately disambiguate? Why does he not say, ‘I see, of course, the distinction between X and the evidence of X, and that these may be different. And what I am saying is…..’ and then provide us an answer of type (a) or (b) or (c)? Partly, perhaps, because of a certain ecumenical motivation, a desire to look for an approach that will harmonise his doctrine with that of the Reformation. But chiefly because he can’t, since certain concepts are intrinsic to certain doctrines. (See Piper, 131-2) The problem is that the concepts inherent in the Reformed doctrine of the imputed righteousness of Christ – imputation, alien righteousness, the instrumentality of faith, and the like - cannot be translated into other categories. They can be translated into different words, provided with definitional equivalents, but that’s not the point. Ultimately we are dealing not with words but with things and their expression in concepts. Bishop Wright comes as near as he can to the Reformed view but has the opinion that the doctrine of the imputation of the righteousness of Christ is ‘saying a substantially right thing in a substantially wrong way’. (quoted in Piper, 131) But there is not something, the doctrine of X, which can be less well expressed in the categories of the Reformation, and better expressed in the categories employed by the Bishop of Durham. If you state the doctrine in a substantially wrong way this affects the substance of what you say. And then you lose that substance; it changes into another substance, and what you state is something else. Although the two matters that we have briefly touched on in this Analysis are quite different, perhaps they exhibit a common pattern or tendency of thinking, a tendency to conflate X and the evidence for X: to say, the evidence of God’s righteousness is God’s righteousness: the evidence of justification is justification. Is this the result of a disinclination to make distinctions, and to draw logical inferences? Is this also a feature of N-theology? Maybe we can even draw another moral, that certain doctrines essentially involve certain concepts. If for whatever reason you change those concepts you necessarily change the doctrine. Which comes first? In the beginning God created the heavens and the earth.